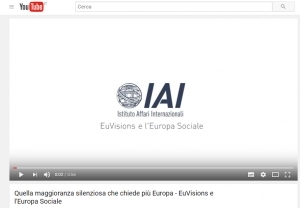 Giulia Bistagnino is adjunct professor in political theory at the University of Milan and, within “REScEU”, works for “EUvisions” with a special focus on the normative and nomological aspects of the EU-building process. She holds a Ph.D. in Political Studies from the University of Milan and a M.Litt. in Philosophy from the University of St. Andrews (U.K.). She was junior visiting scholar at Nuffield College at Oxford and at the Hebrew University of Jerusalem. Her main research interests concern the problem of disagreement, the justification of moral and political principles, theories of democracy, and social justice.